MK Bezalel Smotrich slams Ya'alon for demolitions, claims it is retaliation for Jewish Home's Ben-Dahan becoming Dep. Minister. MK Bezalel Smotrich (Jewish Home) criticized Defense Minister Moshe Ya'alon (Likud) on Tuesday, following the destruction of several Jewish-owned buildings in Judea-Samaria since the elections. 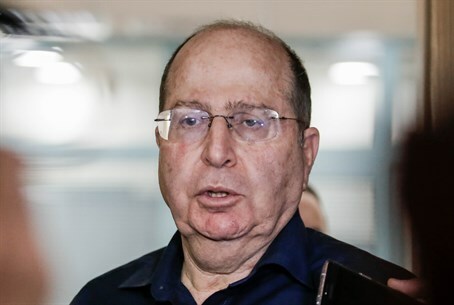 ''Defense Minister Moshe Ya'alon is so opposed to having Rabbi Eli Ben-Dahan serving as Deputy Defense Minister in his office, he is even ready to dismantle the coalition for that," Smotrich accused Tuesday. Rabbi Ben-Dahan is another Jewish Home MK. "There is no other way to explain the demolitions over the past several days in Jewish communities," he charged. MK Smotrich recalled that during elections and coalition negotiations, demolitions were not on the table - but now they have returned "in full force." "Then he will tell us all about considerations of 'rule of law," he predicted, noting that Ya'alon has become known for using demolitions and sanctions as a form of "collective punishment" against Jewish settlers, e.g. with the military occupation of the Od Yosef Chai yeshiva (Torah academy) in Yitzhar. Smotrich accused Ya'alon of using the demolitions as "a political 'price tag' against Jewish Home." Haaretz reported Monday that Ben-Dahan will not be given responsibility for the IDF's Civil Administration in Judea and Samaria, despite coalition agreements between Likud and Jewish Home only two weeks ago. Ya'alon reportedly strongly opposes transferring sensitive issues of Judea-Samaria over to Ben-Dahan's power, sources close to the Defense Ministry revealed.